Jeff Bezos may have called American Media’s bluff by exposing its "extortionate proposal" to force him to drop an investigation of its National Enquirer tabloid. But he’s still got plenty more options. "He’s certainly got leverage now," said Jonathan Askin, a Brooklyn Law School professor. Or he may seek to enforce his "right of publicity," the right to control and profit from the commercial use of his name, image and other unique traits. Askin pointed to a successful suit by Bette Midler against Ford for using a sound-alike in a series of car commercials in the 1980s. 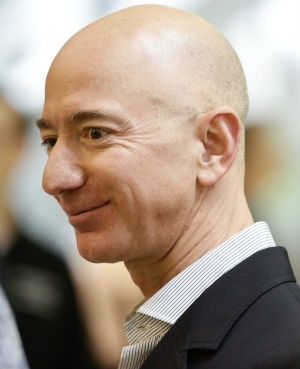 "Very wealthy people like Bezos can often find lawyers who can construct extremely creative arguments," said Benjamin Zipursky, an expert in defamation and privacy law at Fordham University School of Law in New York. "The Supreme Court has declared in very strong terms that there are strong First Amendment protections" for media defendants, Zipursky added. Bezos is represented by Martin Singer of the Los Angeles firm Lavely & Singer, whose clients include A-list celebrities. Singer forced the Enquirer to apologize to actor Tom Hanks for a story saying he was getting a divorce, and he helped Charlie Sheen win a multimillion-dollar settlement with Warner Bros. after the star left the show "Two and a Half Men." But Christopher Kutz, a professor at Berkeley Law School, said a prosecution would have problems. In a typical extortion case, he noted, the threat comes first. With Bezos, the Enquirer’s emails came amid negotiations between the two sides, and their lawyers could argue that this was hard bargaining - “a tool they have a right to use,” he said. If prosecutors toss out the deal by finding that AMI committed a crime, the company could find itself as a defendant in a criminal case over the hush-money payments - a prosecution Bezos would certainly watch.